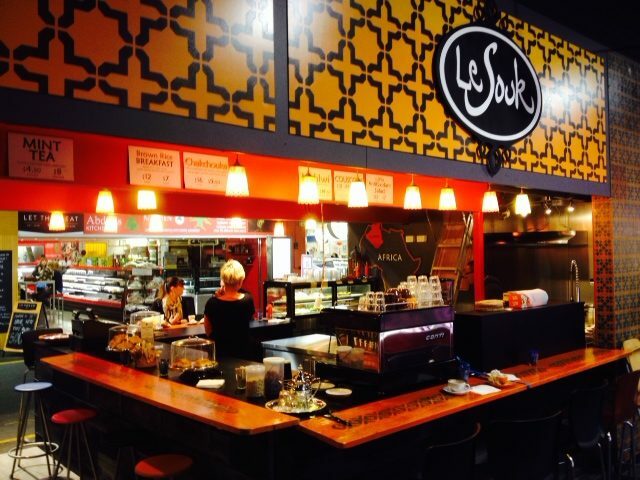 Le Souk - Adelaide Central Market: The City of Adelaide's premier food destination. Over 70 traders under one roof. 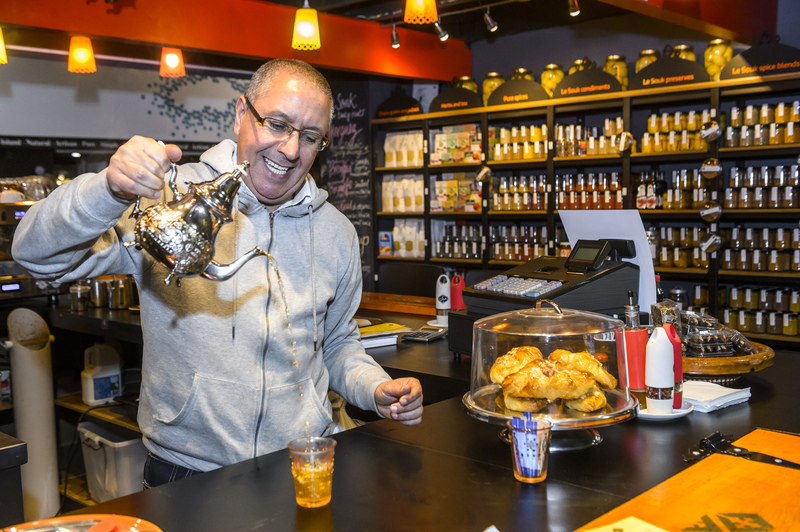 The home of innovative, healthy Algerian food. Our unique menu is influenced by Berber, Arab, Turkish, Jewish and French cuisines, all present in North African food. So, take a seat at the bar, sip a cinnamon coffee and watch your meal prepared by our chef. We offer our hospitality with a big bowl of our twice-steamed couscous with Lamb, Chicken or our house-made Merguez sausages (Algerian classic). If you are vegetarian, we serve our salads with couscous; broad bean and chickpea. For gluten free option, we serve our fragrant brown rice. Inspired? Cook at home with our range of carefully blended spices: Ras el Hanout, Baharat, Charmoula, Kefta mix, Columbo mix and Tajine mix. Our preserved lemons reach peak maturity before sale and our Red Harissa is a family secret. Always something seasonal, fresh and aromatic at Le Souk!